Beginning in the 1970s, visitors here have seen orbs, apparitions, phantom vehicles, and even a floating, shrinking, and vanishing phantom farmhouse. A mysterious black dog and figures in monks’ robes also have been seen. Investigations by ghost researchers have turned up ghostly images and electronic voice phenomena. Went here with friends and actually captured a video of a ghost baby on my phone. It was wearing a blue dress, just standing in the tall grass, rocking back n forth slightly in fast forward motion. The foliage didn’t seem “sped up” but the slight movements of this baby were super fast. She/he was NOT physically visible at the time but when I got home, I noticed it. The face was not very clear either. I took the video kind of quickly and spun around while taping. I am so upset that I lost this cuz I did not have the iCloud and that phone broke….also, my friend felt something yank on her backpack when nobody was anywhere near her. It freaked her out and she stayed by her husband the rest of our time there. So yes, without a doubt, it’s haunted! right.. for some weird reason, your phone broke and icloud came crashing down. did your tire pop while coming back home, which resulted in you accidentally unlocking phone and deleting the “ghost” footage? lulz.. I had taken a visit at about 9:30 PM on November 1, 2012 with a friend. We had taken the path deep through the forest preserve. 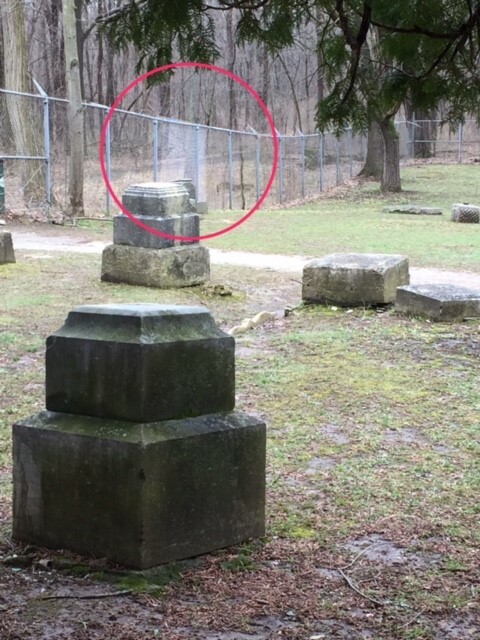 As soon as we had reached the fenced opening of the cemetery we both had seen a silhouette of what seemed to be only a torso illuminated, which had moved a few feet and disappeared, almost as if someone had been wearing a white/silver reflective jacket that had taken a few steps and stopped behind a tree. There were no possibilities of a vehicles headlights hitting that area. As soon as we had seen what we had thought to be a ghost we had turned around heading the opposite way on the trail. We then ran into three police officers who gave us a ticket for trespassing. He was a very nice, young cop who stayed and talked with us for a little while while the other two officers headed towards the cemetery to see if anybody else had been there. There is one way in and only one way out of this fenced in cemetery so when the two police officers met my friend, the first officer and me back on the trail, they were returning alone. Therefore, nobody else had been in the forest preserve or the cemetery while my friend and I had been. My husband and I took our two retired Standardbreds up to the forest preserve for a trail ride. We decided to go cross country and trail blaze a bit, as the “tame” trails weren’t very interesting. We did not know the area well, but my husband is half native and seems to never get lost, so it was all just fun. We came out into a clearing with a downed chain link fence and some concreted parking bumpers, and since it was getting late we decided to cross the clearing and find the main road and ride back to the horse trailer along the roads. Magnum (hubby was riding) walked over the fencing without a care, but flat refused to cross the concrete bumpers. I decided to lead teh way with Spike, who was blind, so we figured wouldn’t notice whatever Magnum was spooking from and once Spike walked on Magnum would follow. Spike stepped over the bumper, put that front foot down on the other side, and froze. He began to shake all over, blowing as though he had just raced, and then tried to bolt back the other way. After another 20 minutes of coaxing, cajoling and even leading, we went the long way around the area. 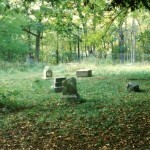 When we got most of the way around, we could finally see that there were headstones in the clearing, and as we exited on a gravel drive we saw the sign for Bachelor’s Grove. Didn’t see anything, but the horses sure as heck would not set foot on that ground for love or money! My mom, friend, and I went in about mid October of 2015 around ten at night. The entire time I felt on edge, and despite not being all that far from a pretty busy road, it felt like we were completely isolated out there. 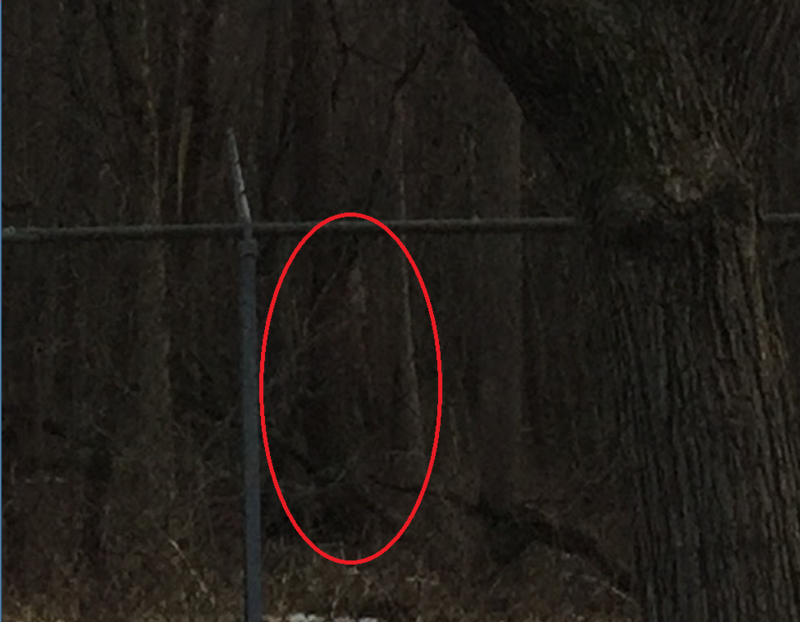 I brought my semi professional camera and took pictures to, from, and in the cemetery and practically every one was spotted with orbs (I wiped the camera lense to be sure it wasn’t just dust). I definitely want to go back again to explore farther down the abandoned road past the cemetery though. Such a creepy place, definitely had a casual ghost hunter like me on my toes. 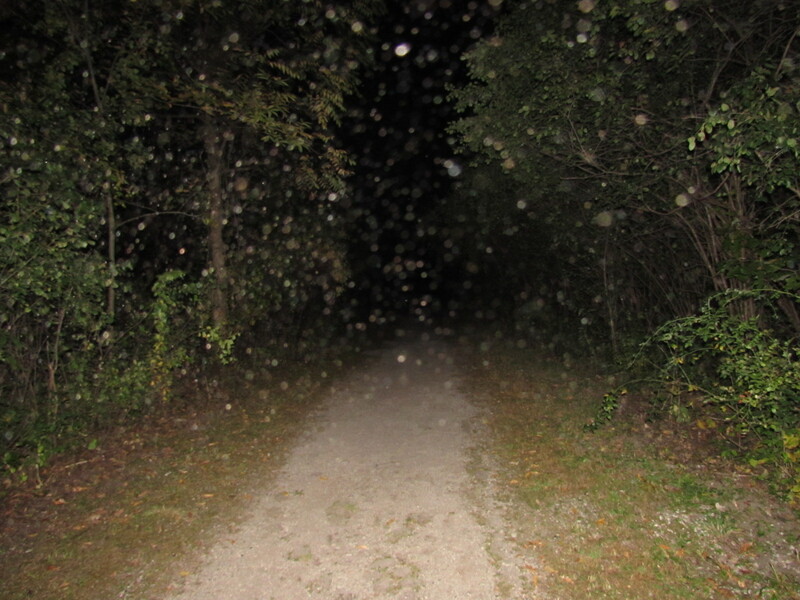 Not all of those are Orbs, they are bugs and dust not on the camera but just in the air. You used flash it looks like so thats why It looks like there are a ton of orbs. Maybe a few of them are but no way they are all orbs. Your lookin at around 2,000 or 3,000 orbs there. And the cemetary only has record of 88 berials but there are about 100 because the road workers who died in an accident while building the turnpike back in the day, they were put to rest there. Then add some more from Capone dumping boddies in the pond but there was never any proof so the pond story may be not factual, if capone did dump that many bodies back there then someone would have found some proof of it by now even. Spoke to woman spirit, asked her if I could get her picture, this is what we got. Omg! I went with a friend summer 2018 and we asked for someone to show themselves in that exact spot. Me and my friend stared at the exact same thing. Didn’t get a pic of that but literally same female apparition in the same spot. We couldn’t believe what we were seeing. That’s quite a bit of spooky location. During our visit, we found some signs of paranormal encounter out there. The cemetery itself gets very scary during strange night hours. You can easily hear footstep noises, strange vibes and outcries that may scare you to death. Yes! I saw those trees too today! It was creepy! Hello Jessica, I am looking to go there verry soon and I had tried a few months back but could not find out how to even get on the trail or where to park my car for that matter. Is there anywhere where I can park my car and go into the trail with my friends to ghost hunt? Also the last time the cops stoped us cus we were driving around trying to find a spot and they said we just needed to leave. However it seems that you have made it there this year of 2017 and was wondering if you could tell me how to actually get in without getting in trouble and also where my car would be safe. I Would love for you to get back to me and give me some info on how to get in. Thank you so much. You have to park arcross the street at the forest preserve and walk over. You will see the entrance. It says closed but you can walk around the chain. I had a week off as a staycation back in March. Decided to drive out to BGC on a Monday afternoon to check it out. Brought along a couple simple ghost hunting tools. Nothing was picked up on those. Took photos with my iPhone all over the cemetery. Looked them all over carefully when I got home. Two of the many photos caught my eye. Both show a portion of the chain-link fence lit up just behind a headstone. Both photos taken at different times, distances and angles. Same place lit up. Chain-link fences do not have a surface to reflect light. Nothing behind the fence but trees, branches & dead grass. Can’t explain what’s there in the photos. Ok wow didn’t think i would see people still go to this place. I have not talked about this place in many many years. When i was 14 me and about 4 others went there. I remember me and another went walking and we both got a really weird feeling like we were being watched. I happened to look up at the sometime my friend did and we were looking at a women in white. Sad look on her face we were gonna go in more but just had a feeling no to go any further. We waited for the other 2 who were twin brothers. Next thing we know they came running looked white as a ghost freaking out shaking. We got back to the car and we were standing there the one brother said did you see it? His brother was shaking freaking out and in pain.He said his back was hurting he heard a growl but neither seen anyone or anything he lifted his shirt up and he had 3 scratches on his back. We got the heck out of there never went back. 31 years later i am now 45 living in arizona and to this day i will NEVER EVER go back there.it is EVIL. I also know why i felt the way i do i learned i am a sensitive. I have been dealing with paranormal since i was 12 first was at our old home on 79th st in bridgeview but has been torn down. So YES THIS PLACE IS EVIL i would not suggest no one keep going there. Devil dogs are real shadow men are real they are demons i have come across 7 in my life. Was with a group . One persons hair stood up when we got near this.. possible portal Got Shields name over ghost box and it’s right next to this !!! I have seen White lady and gotten many evps , giggles , girls talking , men and a cough when I was totally alone. PLEASE READ…There is almost always going to be a cop across the street at night so it is very difficult to get in…HOWEVER…there is another way to get in. 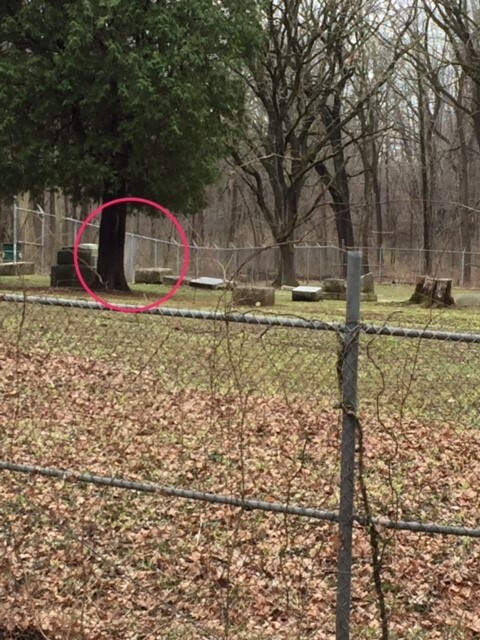 If you go to the nearest neighborhood (to the left of the original path to the cemetery) in the closest block, there will be woods to the right side if you are going the right way. Keep following the woods on your right and eventually you will find an opening in the very end corner of the street. This path that goes through the woods will lead you to the middle of the original path and from there you just go forward. Keep in mind it may be difficult to find that path when you need to leave because of how dark it may be. Question about this place? I am planning a roadtrip throughout IL this summer to visit as many haunted places as I can. I heard a story about this place as in the swampy pond area by the cemetery there were multiple sightings of a little boy who would cy out asking for a silver coin and supposedly in 2006 a psycic and paranormal investigative team went to visit this place the spycic went into a trace and ended up walking directly into the pond and finding a silver coin from the early 16-17th century and sense then the boy hasn’t been seen again. Has anyone who visited this place seen or heard of that story? Yes, My wife and I actually saw a little boy on the pond’s edge. The only thing wet about him was the pee mark on his pants. He took off running never to be seen again. Isn’t that scary? I went here on accident with a friend on a forest preserve walk who knew what it was but did not tell me. When I got there I felt the biggest sadness I have ever felt. I did not feel scared but a deep feeling of overwhelming pity. I could feel so much pain there. I just began to cry. It felt so heavy and alone to me. After he explained what it was to me as we were leaving it made sense. I never realized what a horrifying place it was. There truly needs to br a clean up and proper memorial built there for these souls that are crying for help. My cousin has a couple of acres down the road from this place. He and I went to check this place out one evening and as we were walking, we got separated because we hid from the police who were searching for trespassers. After the police left, I began to call out to my cousin. 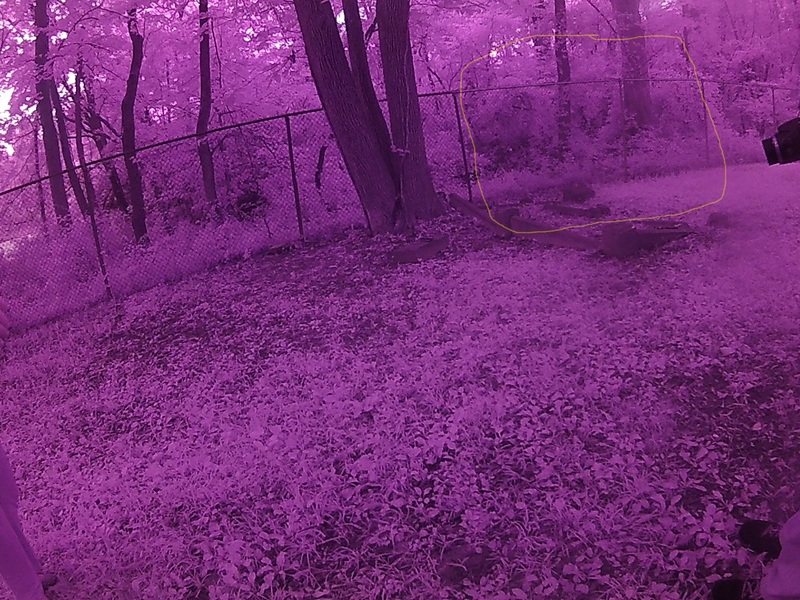 I was walking through the wooded area near the pond because I thought he’d be there. I then heard a voice say,”I tell you where he is fo’ tree-fiddy.” I turned around and no one was there. I continued walking and I heard the voice again,” I tell you where he be hiding fo’ tree fiddy.” I said,” No.” The voice then said,” den how ’bout two fiddy?” I then turned around and saw something run. I then ran to where it was and found a headstone that read:” Here lies Slappy, a slave like his pappy,Slappy died, his pappy cried, and now the white man is happy.” Apparently Slappy died in 1883. I found my cousin and we left. I never told him about what I heard that night. Went there with friends late 1980’s. It is haunted and we were not teenagers. But the air has an electric feeling and my hair just stood up on my arm. It was at dusk and a couple of friends got hysterical said someone brushed past them. Never forgot this never will.